…is the only thing you have to take care of. “Ludi incipiant” – Let the games begin. What would golfing be without tournaments? The ever-increasing demand for tournament formats and other competitions has gained significant momentum in recent years. Golf groups with several affiliated golf clubs are confroned with completely new possibilities and challenges. Albatros has therefore created a system for tournaments and ranking lists which has been specifically designed to meet the requirements of golf groups. 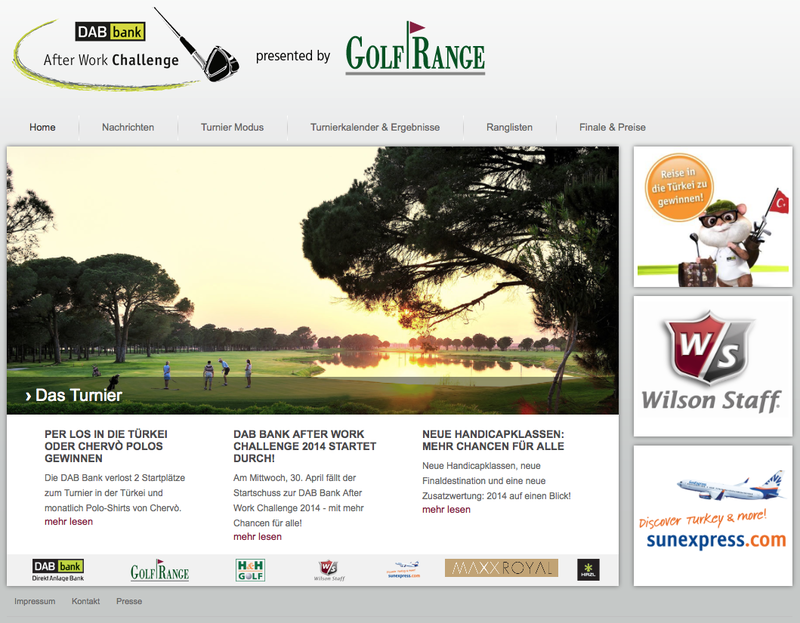 The popular “Aferwork Golf Challenge” is for instance an event implemented by more and more golf groups or operators. It requires a consolidation of results which is updated daily, works across groups, and can be presented online or mobile if necessary. The results are available throughout different golf clubs so that all courses can be used simultaneously. The Albatros turnkey server for ranking lists has been developed to meet these requirements. The reliable and tested system provides possibilities such as a centralized collection, evaluation, and presentation of results. From a customer’s point of view, the system offers further exciting features such as the opportunity to edit results and additional information relevant to a tournament in a Content Management System (CMS) and publish them on the website. 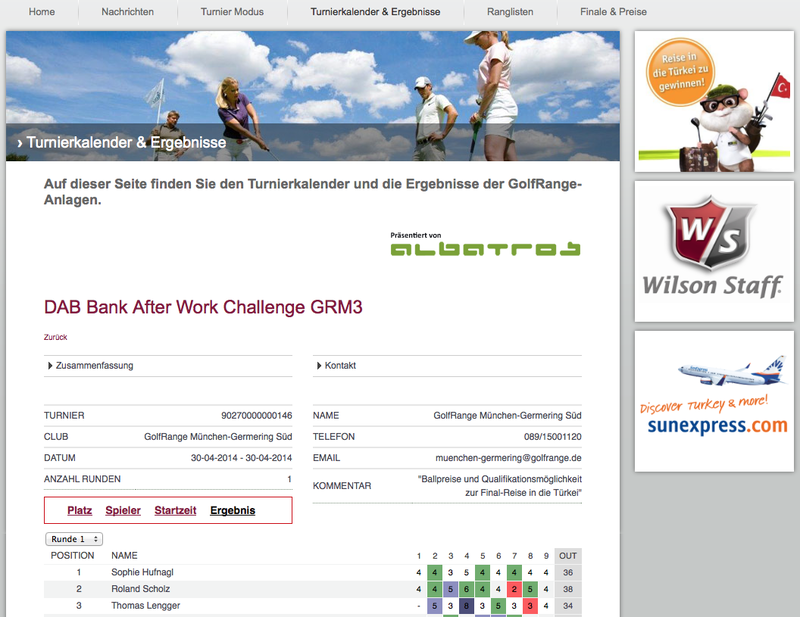 Tournaments depend on sponsors and tournaments with attractive sponsors are popular among golfers. 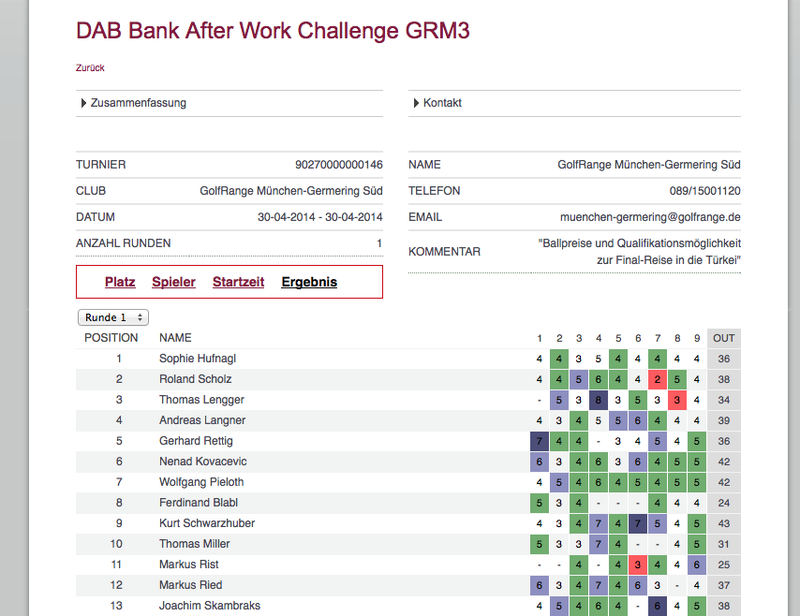 Since the resulting requirements have already been considered in the Albatros system for tournaments and ranking lists, a simple integration of sponsors is possible anytime. 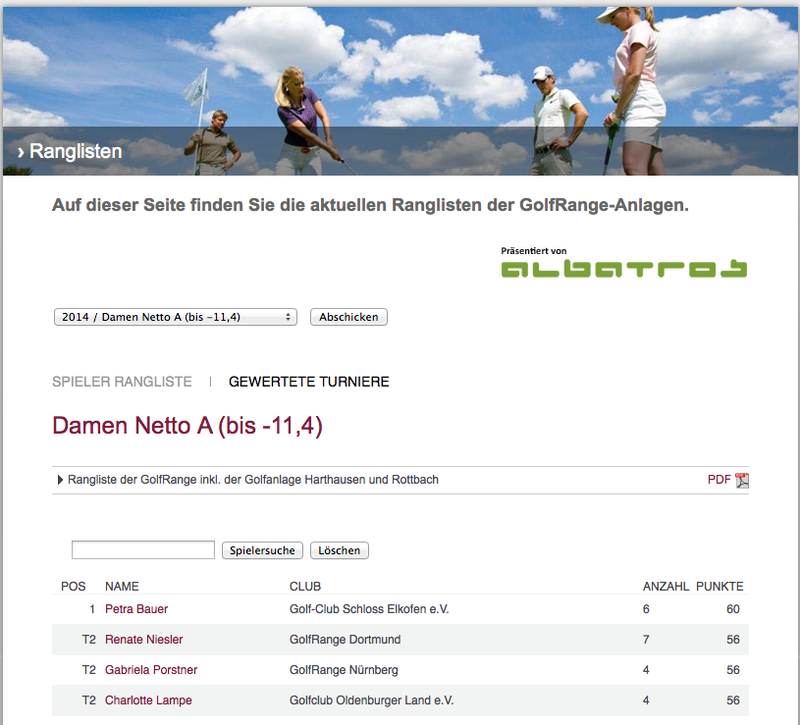 The Golf Range tournament series “Afterwork Golf Challenge” was for instance implemented by Albatros. The system for tournaments and ranking lists was used and aroused the enthusiasm of participating golf clubs and golfers. One tournament, several courses. No Problem! Golf clubs take care of participants while the tournament administration is coordinated centrally. Integrate a group sponsor or local sponsors. Use our turnkey solution which can be adapted to special requirements anytime.